This video covers Whats new vSphere 6.5 High Availability. 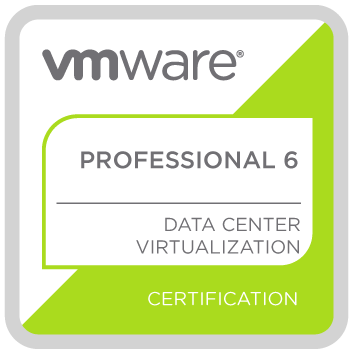 This video covers what’s new in vSphere 6.5 migrating from a windows vCenter server to the vCenter Server Appliance 6.5. 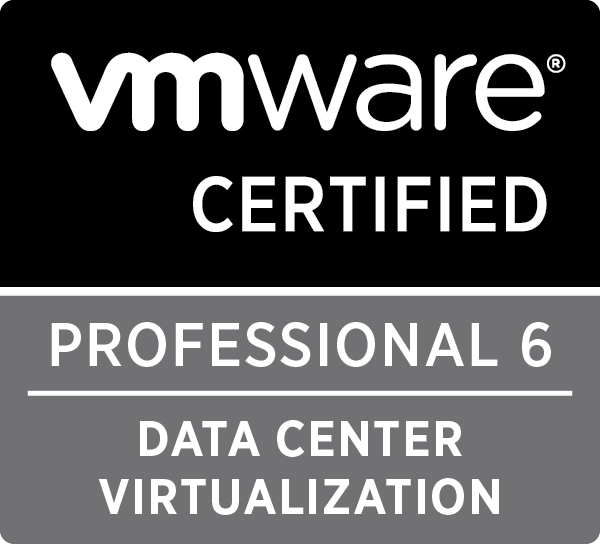 This video is an introduction to some new features in the vSphere Client 6.5. 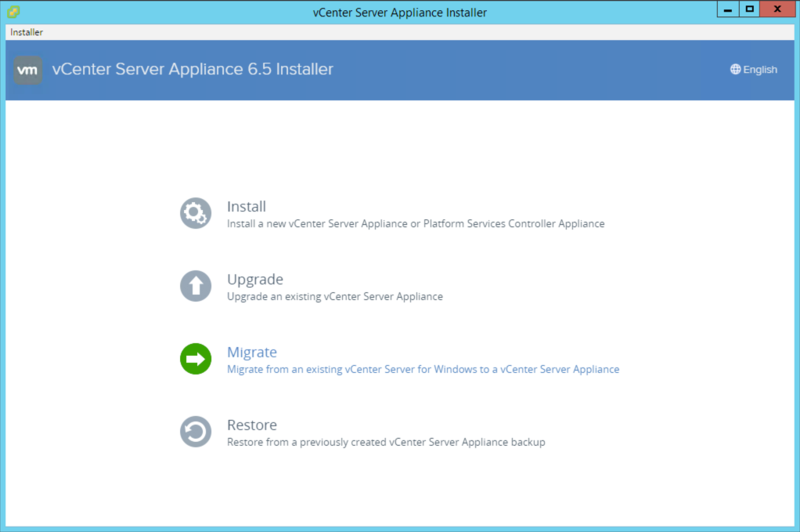 This video covers What’s New in vSphere 6.5 vCenter Server Appliance 6.5 File-Based Backup and Restore. With the rise in popularity of hybrid cloud computing, where VM-sensitive data leaves the traditional IT environment and traverses over the public networks, IT administrators and architects need a simple and secure way to protect critical VM data that traverses across clouds and over long distances. The CPU cost of encrypting vMotion traffic is very moderate, thanks to the performance optimizations added to the vSphere 6.5 vMotion code path. vSphere 6.5 Encrypted vMotion provides the proven reliability and performance guarantees of regular, unencrypted vMotion, even across long. VMware vSphere® vMotion®  provides the ability to migrate a running virtual machine from one vSphere host to another, with no perceivable impact to the virtual machine’s performance. vMotion brings enormous benefits to administrators—it reduces server downtime and facilitates automatic load-balancing. During migration, the entire memory and disk state associated with a VM, along with its metadata, are transferred over the vMotion network. It is possible during VM migration for an attacker with sufficient network privileges to compromise a VM by modifying its memory contents during the transit to subvert the VM’s applications or its guest operating system. Due to this possible security risk, VMware highly recommended administrators use an isolated or secured network for vMotion traffic, separate from other datacenter networks such as the management network or provisioning network. This protected the VM’s sensitive data as it traversed over a secure network. Even though this recommended approach adds slightly higher network and administrative complexity, it works well in a traditional IT environment where the customer owns the complete network infrastructure and can secure it. In a hybrid cloud, however, workloads move dynamically between clouds and datacenters over secured and unsecured network links. Therefore, it is essential to secure sensitive vMotion traffic at the network endpoints. This protects critical VM data even as the vMotion traffic leaves the traditional IT environment and traverses over the public networks. vSphere 6.5 introduces Encrypted vMotion, which provides end-to-end encryption of vMotion traffic and protects VM data from eavesdropping occurrences on untrusted network links. Encrypted vMotion provides complete confidentiality, integrity, and authenticity of the data transferred over a vMotion network without any requirement for dedicated networks or additional hardware. Encrypted vMotion does not rely on the Secure Sockets Layer (SSL) or Internet Protocol Security (IPsec) technologies for securing vMotion traffic. Instead, it implements a custom encrypted protocol above the TCP layer. This is done primarily for performance, but also for reasons explained below. SSL is compute intensive and completely implemented in user space, while vMotion, which constitutes core ESXi, executes in kernel space. This means, if vMotion were to rely on SSL, each encryption/decryption call would need to traverse across kernel and user spaces, thereby resulting in excessive performance overhead. Using the encryption algorithms provided by the vmkernel vmkcrypto module enables vMotion to avoid such a performance penalty. Although IPSec can be used to secure vMotion traffic, its usability is limited in the vSphere environment because ESXi hosts support IPsec only for IPv6 traffic, but not for IPv4 traffic. Besides, implementing a custom protocol above the TCP layer gives vMotion the ability to create the appropriate number of vMotion worker threads, and coordinate efficiently among them to spread the encryption/decryption CPU load across multiple cores. 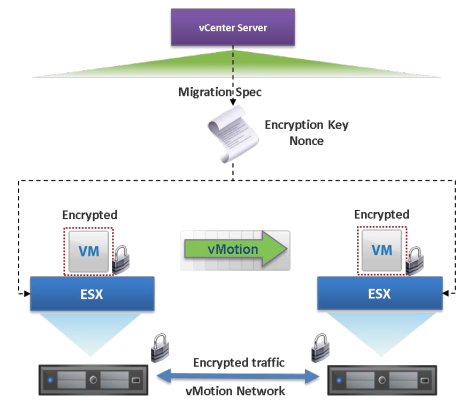 Download VMware vSphere Encrypted vMotion Architecture, Performance and Best Practices.